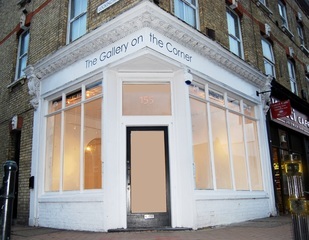 The Gallery on the Corner is available for hire for exhibitions or other events. It will effectively be 'your gallery' for the hire period. 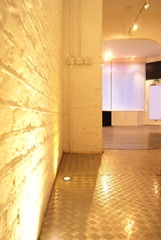 The Gallery is a clean white painted space, with a grey painted floor. The ground floor has a high ceiling, and two large windows, providing large display areas and plenty of natural light. The windows have both white and blackout blinds The basement is a more intimate space, and benefits from two niches that could be ideal for sculpture or installations. 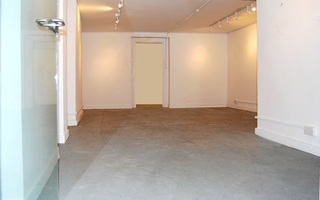 The gallery is also ideal for small meetings, classes, workshops, or even a product launch or pop-up shop. The space is well suited to host shorter events, and can be hired by the day, or could be the ideal home for an exhibition for a longer duration; each exhibition or event will be a unique, personal occasion.